If you have or work with toddlers, you know they have very little control over their little worlds! There are a few things they can control though and talking is one of them. 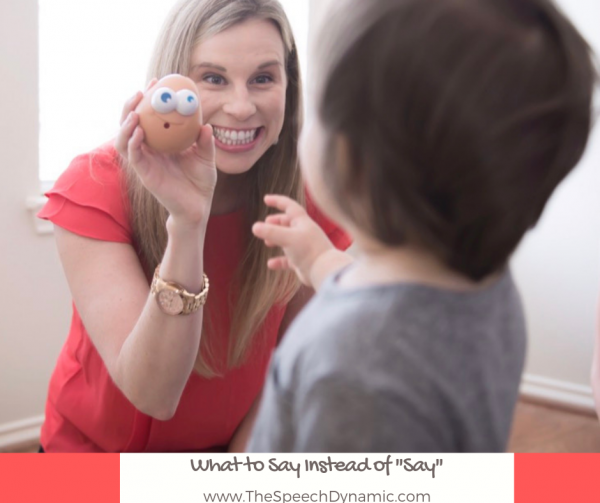 When we insist a toddler “say a word,” we are teaching them how to repeat, not how to communicate (You can read more this in my article, “Why I Don’t Say “Say” to your Toddler”). Give a choice: Choices are such a great way to give a toddler some control! When we give a choice, we are honoring a child’s communication while still providing options we like. 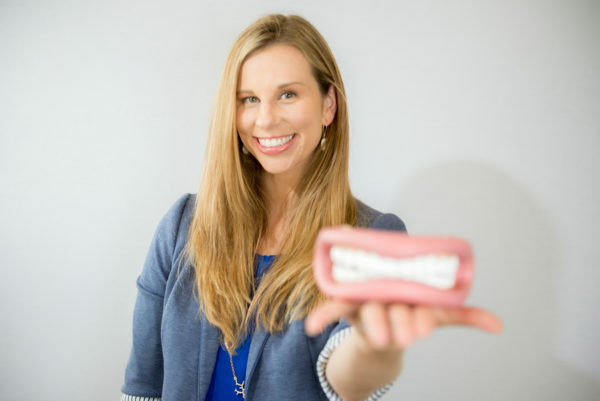 Some things naturally lend themselves to a choice (“Do you want the pink or blue one?”) Others require a little more creativity (Do you want one carrot or two?”) Just make sure to honor your child’s best communication attempt. Talking is hard work! If their current communication is looking or pointing, model the word several times and reinforce their choice. Model the word(s) (and wait): Waiting is a powerful tool! It lets a toddler know it’s their turn to communicate and gives them the time and space to do so. If your toddler want you to open something, simply model “help” or “open” and then wait (looking at them expectantly). Instead of engaging in a power struggle, simply model the word again. Then give them another opportunity to hear the word paired with the action or object (Let’s open! We opened!”) This helps create the association between the word and the object. Next time they may surprise you! “You can say _____”: Instead of saying “Say help!”,” simply model what they can say. For example, “You can tell me, Help mommy” and then move on. This shows them what they can say without the power struggle. It also takes the confusion out of ambiguous phrases such as, “Use your words.” Just remember to keep it short and sweet! “Let’s tell him/her…” Whenever there is another person or animal (real or stuffed) involved, you can try talking to them instead. Instead of saying, “Say go!” try saying, “Let’s tell him to go! Ready? Go!” This puts you and your toddler on the same team and it feels more like a game than a challenge. Fill in the blank (and wait): Again, waiting and looking expectantly is so powerful! One way to do this is to have them fill the blank such as “1, 2 ,3 ___” or, “Ready set ____!” This lets them know that it’s their turn to communicate. After waiting 5-10 seconds, you can say the word and move on. Then try again on the next turn! Communication is about more than saying a word. It’s about understanding the power of language and words. Learning language does not have to be a battle! It should be enjoyable and for both the child and their caregiver.